The ladies of The Mystery School join together once again to bring forth messages in service of humanity. In this session, The Source (God) advises them that they were together before as four women at the Oracle of Delphi. Some back history and activity of the Oracle of Delphi is explained with understanding of the present day task. Group: We sang 3 Oms – joining hands together to completely harmonise together. The Oracle: indicated he wished to speak. Group: After meditating together we each received a question for the Oracle. Valerie: Re insight about working with the Delphi Oracle in Greece as 4 women. Jacqui: What are the bands or layers she sees in auras when working with people. Jill: Sees steps towards pyramid – sun – healthy – strong love and comfort? The Source: (God) I am God, and I am very pleased to be here. I know you are a little concerned about the way this Oracle is working. 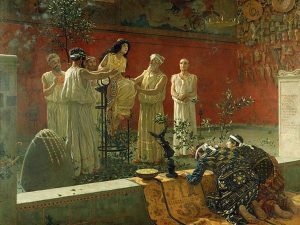 Please allow me to confirm that you were priestesses at another ancient time which is known as the Delphi Oracle. This was quite a gift because you were all very talented and very tuned in to the energies from the Creative Source of All and you took your work very seriously. You were very devoted to what you do. And this is being created and happening at this time also. The Source: (God) You are not virgins this time but you still have those psychic abilities. Being a virgin in those times were just an initiation and belief of the ancient time. The whole of your earth bodies have been initiated into receiving messages directly from The Source of All Creation. And you mentioned a book ‘Conversations with God’ and how it captured a lot of people’s attention and it was amusing also – which was very good and we were very happy that this had taken place. So your work is a little more serious in its nature in that it is a CURRICULUM for a Mystery School. To capture people’s attention for learning – but it is also a place for understanding the mystery upon all human beings – all life-forms on this Planet Earth – so if you just follow your intuition – which is your ‘inside teaching’ you will be able to achieve what you have committed to do at another level altogether. A level, I will want to say now, as STAR PEOPLE. 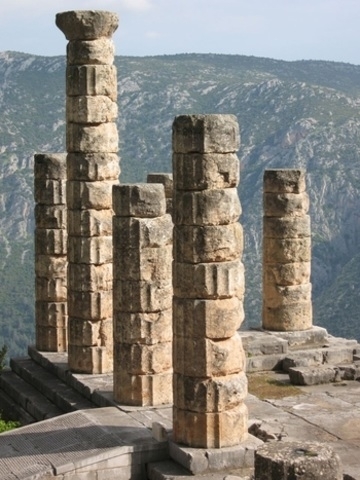 Jacqui: Well I don’t think there is much point in going over the Oracle at Delphi. Do you want to ask any more about that? Jill: No, obviously we did our best then and then moved on. Located amidst breathtaking scenery in central Greece, the Sanctuary of Apollo at Ancient Delphi was the most important sacred site in the Greek world. Revered as early as 1500 BC, the sacred precinct was home to the famous Oracle.